One of the few currently active practitioners who participated in developing ERISA, Theodore Groom has practiced law since 1960, co-founding Groom and Nordberg in 1975. The firm was renamed Groom Law Group in 1998, and Ted served as managing partner and firm Chairman for the firm’s first 20 years. Ted has either founded or has been actively engaged in each of the firm’s practice areas and continues an active tax practice involving corporate, insurance, and financial product tax issues. Among past representations, Ted has acted as special counsel to the named fiduciary of the Central States Teamster Pension Plan; represented the insurance industry groups developing regulatory rules and exemptions for fiduciary responsibility; helped develop the regulatory framework for multiemployer plans in connection with legislation enacted in 1980; served as co-counsel for the mutual life insurance industry; and acted as special counsel for major insurance companies in their conversion to stock form. A significant part of Ted’s current practice involves helping major plan sponsors achieve more efficient management and greater participant benefits through the formation of captive insurance companies. 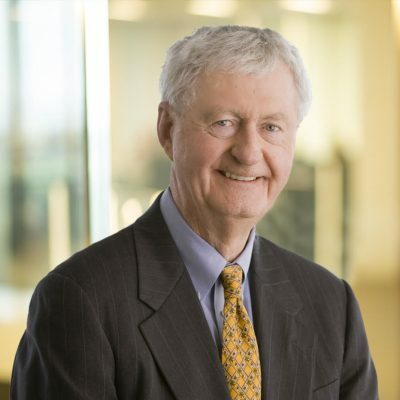 Ted has written, spoken, and testified on tax and employee benefits issues numerous times, and together with Stanford Professor John Shoven, published Deregulating the Private Pension System, The Evolving Pension System (Brookings 2005). Washingtonian’s Best Lawyers in D.C.
We work in a collegial atmosphere where the best ideas are shared ideas and the best practices are shared practices.